Free 2 column Joomla 1.5 CMS template suitable for restaurant or caffee business website. This free Joomla business template has drop down menu, brown background with diagonal lines, main content in the right column and sidebar in the left column. Template has fixed width and it is css and xhtml valid. Free tableless Joomla cms business template with main content in the left column and sidebars on the right. Template has multi level drop down menu and 22 modules positions. 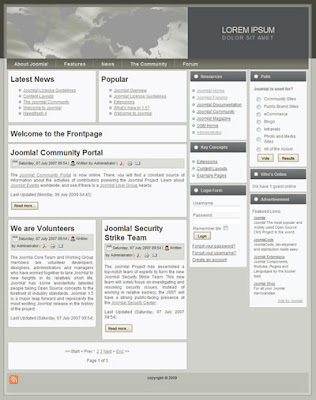 This free Joomla 1.5 template is css and xhtml valid. 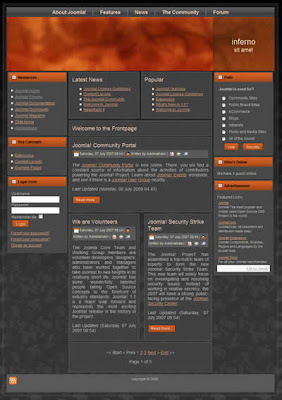 Free 3 column Joomla CMS template with black and orange color scheme and navigation bar on the top. Template has main content in the center column, sidebars in the left and right columns, it has ficed width and drop down menu. Free 3 column tableless Joomla cms template with drop down menu on the top and wooden background. 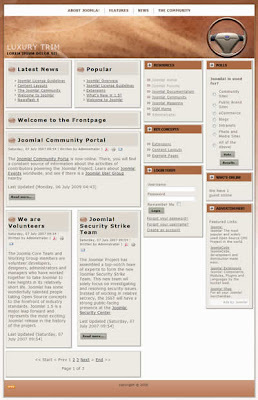 This Joomla 1.5 template is css and xhtml valid, it has main content in the left column and two sidebars on the right. Template has fixed width, it can be used as a automotive blog or for a car accessories e commerce website. 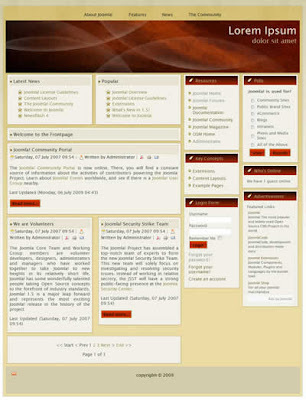 Free 3 column Joomla cms website template for religious - Christian website. This free tableless Joomla 1.5 template has main content in the left column, sidebars in the left and right columns and drop down menu. 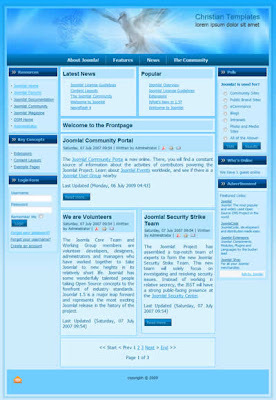 Free Three column tableless Joomla 1.5 CMS template for blog or business website. 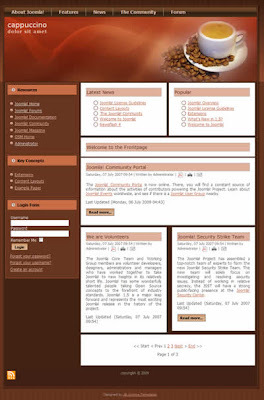 Template has fixed width, main content in the left column, sidebars on the right, gradient background and drop down navigation bar on the top. 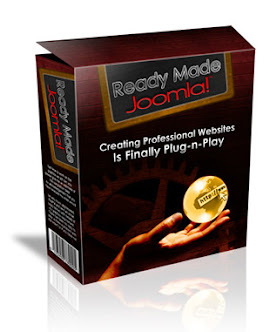 This Joomla 1.5 business template is css and xhtml valid.